How sleeping the right way, can change your day. Most people pay little attention to their pillow until they have a disturbed nights sleep, or worse – wake up with a neck so stiff they cannot get out of bed. Patients often ask us where to buy good pillows in Singapore. Poor neck posture, or poor support of the neck during sleep may be a causes for chronic cervical neck pain and stiffness. Patients reporting waking headaches or cervicogenic headaches that were not present the night before may be able to attribute their symptoms to either poor sleeping posture or a pillow that does not suit their individual sleeping pattern. From our own day-to-day clinical experience at ActiveLife Chiropractic – and through our understanding of biomechanics function, we have come to find some generalised information to help our patients make the best-informed decision. We have found that the proper posture and the selection of a suitable pillow can reduce pain and improve quality of sleep. The first step when assisting our patients make decisions and choices based on their sleeping habits is assessing their sleeping posture and position. From early childhood, our native sleep posture begins to develop. By the age of around seven years old – an individuals sleep posture is assumed. For most adults, the prevalence of sleeping posture is primarily side posture in the semi-foetal position, followed by face down (stomach) sleeping and finally back posture. There is limited research investigating how sleep posture and pillows play a role in these symptoms. Often patients will ask us, “What is the best position to sleep in?” and while this is a contentious issue; research tends to point towards side and back being of best benefit while stomach sleeping causes the most issues. The position that you get the most restful sleep or the best quality of sleep is the position that we will usually advocate. Selecting the right pillow can make a big impact, not only on the quality of your sleep but for ongoing cervical neck health and general wellbeing. It’s hard to know where to buy good pillows in Singapore. Across the population neck pain is very common, musculoskeletal pain can affect up to 44% of Singapore’s population. Having neck pain can affect your ability to find a comfortable position to sleep at night, which can in turn affect your overall quality of life. A randomised study into the usage of pillows made from different materials compared the waking symptoms of patients after a night of sleep (Symptoms such as headache, arm pain, shoulder pain and neck pain). The patients were then put through the trial study using the pillows manufactured of different materials (Polyester, foam, feather and latex). The study – while far from conclusive, determined that while the feather pillows performed the worst, the latex had the best results. A secondary study into the comparison of pillows manufactured from different materials (the subjects own pillow, a water based pillow and a roll pillow). Utilising multiple analysis models and patients own satisfaction scaling, the water-based pillow performed the best, with the roll performing the poorest. The shape of the pillow is also an important consideration, with standardised rectangular pillows, wedge pillows, roll pillows, contour pillows, and more. Certain shaped pillows are purported to be more advantageous towards back sleepers, and those preferentially used for side posture sleepers. When assessing if a pillow is the right shape or size the first step is to lie on the pillow itself. Often we will try a pillow in a store however, when we take it home it feels different. The firmness of the mattress will also play a role in how much the pillow will give. Where possible take the pillow home for a trial before you purchase. Side Posture – look for a pillow that snuggles and supports into the gap formed between your neck and shoulder. Your nose should maintain in the midline of your body and there should be little to no postural distortion of your neck muscles when relaxed. Ideally the side posture pillow should keep your spine in the neutral position for the duration of your sleep. Back Posture – look for a pillow that comfortably supports your head and has enough density to fill the space made between your neck and the bed when lying comfortably. The hole in the centre of your ear should ideally maintain it’s neutral posture through the centre of your shoulder. If you feel like your chin is being pressed towards your chest, the pillow is too high. Remember when purchasing a new pillow give yourself a week to ten days. This is the time to tell if a pillow is really suitable for you. At ActiveLife – we suggest trying chiropractic first; understand your spine and body so you can make an informed decision. Come into our clinic (and feel free to bring your pillow with you too!). Talk to any of our Singapore Chiropractors about your concerns and start getting the sleep you deserve! If you’re looking for more information regarding sleep posture. 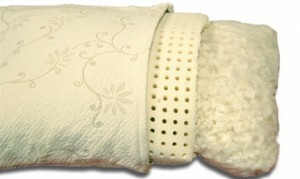 If you’re looking where to buy good pillows in Singapore – call into either of our clinics. Our wonderful staff will be more than happy to assist with your enquiries. Dunkell S (1977). Sleep positions: the night language of the body. Heinemann, London. Kramer J (1990 (2nd ed.)). Intervertebral disk diseases: causes, diagnosis, treatment and prophylaxis,Thieme Medical Publishers, Inc., New York.